Short on time? Let ethyl-cellosolve sellers contact you. Calcium formate, hydroxypropyl methylcellulose (HPMC), ethyl cellulose (EC), hydroxypropyl cellulose (HEC), sodium carboxymethyl cellulose (CMC), polyanionic cellulose (PAC). Ethyl Cellulose : 1. Ethyl Cellulose(EC) Appearance Ethyl Cellulose(EC) is white or light grey free-flowing powder, odorless. 2. Ethyl Cellulose(EC) Properties Commercial Ethyl Cellulose(EC) is usually insoluble in water but soluble in various kinds of organic solvents. It has good thermal stability and low ash content when burning. In addition, it seldom gets sticky or bitter, so can form tough and tensile films and maintain flexibility even at low temperatures. The product is non-toxic, strong in antibiotic effects and metabolically inert but apt to oxidative degradation in the sun or UV light (ultraviolet light). The special-purpose Ethyl Cellulose(EC) can also be classified into types soluble in alkaline liquor or pure water. 3. Ethyl Cellulose(EC) Application With adhesion, filling and film-forming functions, the product can be used in resin synthetic plastics, coating, rubber substitutes, printing ink and insulation materials, or as adhesive agent and textile finishing agent. In addition, it can act as animal feed additive in agriculture and animal husbandry, or adhesives in electronic products and propellant of military industry. According to the uses, the commercial Ethyl Cellulose(EC) can be divided into two categories of products: the industrial grade and the pharmaceutical grade, and usually soluble in organic solvents. For the pharmaceutical grade Ethyl Cellulose(EC), the quality standard should meet Chinese Pharmacopoeia 2010 Standard (or USP XXIV/NF19 Standard or JP Standard). Because of water insolubility, Ethyl Cellulose(EC) can mainly act as tablet binders, thin film coating materials, and retardants of framework materials or be used for the preparation of different types of sustained-release tablets. Ethyl Cellulose(EC) can be used as the mixed material for coating sustained-release preparations pellets, the organic carrier for the preparation of electronic pastes or as the encapsulation excipient for the preparation of sustained-release microcapsules to maintain sustained release of efficacy and avoid premature reaction of some water-soluble. 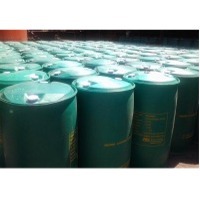 Ethyl alcohol, sugar, Calcium Carbonate, Ethanol, Ethyl Acetate, rice, sugarcane molasses. 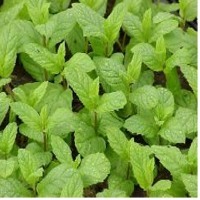 The mentha water is steam distilled from fresh blossoms Bulgarian mentha piperita of during the months of may and June of each year. It is a completely natural product for skin and hair application. Transparent liquid, colorless; specific aroma; essential oil content 0.03, ethyl alcohol content 3.44, relative density 20 C 0.9827, PH 5.25, microbiological purity - corresponds to standard. Benefits: Has an antiseptic and anti-inflammatory effect on the skin. Soothes the skin after sunburns or razor cuts. Gently cleanses and tightens the pores of the oily skin. Moisturizes the skin and improves its general condition. Foshan Huate Gas Co., Ltd.
Special gases likes, ammonia, anhydrous, arsine, boron trichloride, boron trifluoride, butadienes, butane, butylene, carbon monoxide, carbonyl fluoride, carbonyl sulfide, chlorine, cyanogen, cyanogen chloride, cyclobutane, cyclopropane, deuterium, dimethylamine, dimethyl ether, dimethylpropane, dinitrogen tetroxide, ethane, ethylacetylene, ethylamine, ethyl chloride, ethylene, ethylene oxide, ethyl fluoride, ethyl methyl ether, hydrogen bromide, hydrogen chloride, hydrogen fluoride, hydrogen iodide, hydrogen sulfide, methane, methylamine, methyl bromide, methyl chloride, methyl fluoride, methyl mercaptan, nitric oxide, nitrogen trifluoride, nitrous oxide, octafluorocyclobutane, octafluoropropane, perfluoro ethyl vinyl ether, phosgene, phosphine, silane, silicon tetrafluoride, sulfur dioxide, sulfur hexafluoride, sulfur tetrafluoride, sulfuryl fluoride, tetrafluoroethane, tetrafluoromethane, trifluoromethane, tungst. Ethyl acetate 99.9 % Pure grade . 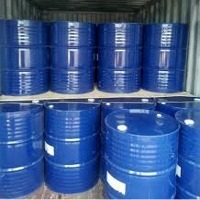 Packing ISO Tank Containers 20 MT per Container.